chapter explains the kinds of components you can connect to make up your home theater system. from the power outlet. Plugging in should be the final step.
! 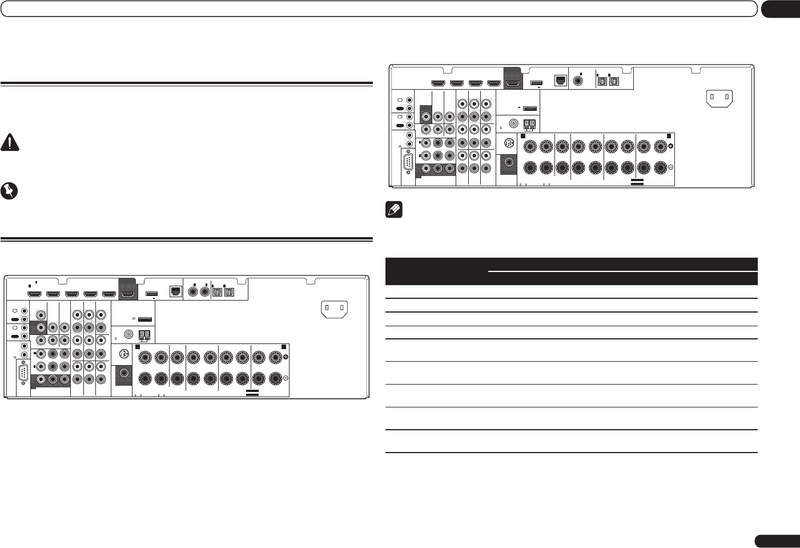 The RS-232C terminal is exclusively for the installer. The Input Setup menu on page 26 to change the assignments if other connections are used.